viii + 181 pp., 110 illus. To order, visit our Online Storefront. This research is a synthesis of archeogeophysical and archeohistorical data collected from the Battle Mound site (3LA1). 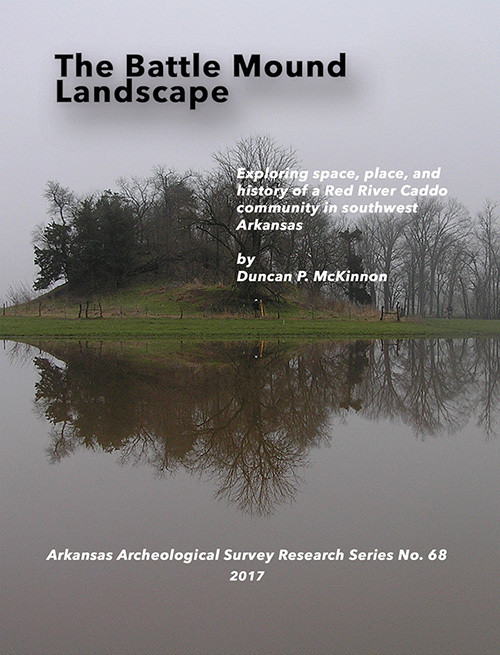 Using these data, McKinnon seeks to understand how the site is organized in terms of architectural variability, and how differential use areas, such as domestic or community space, can be compared to ethnographic and archeological data concerning Caddo community structure and landscape use. The research is formulated around three questions related to spatial organization and settlement patterning, intrasite behavioral practices, and Caddo culture history. Results show that an examination at multiple scales of resolution can inform about the spatial organization and settlement patterning of Caddo communities and how these underlying principles that define space have endured or been modified over time.